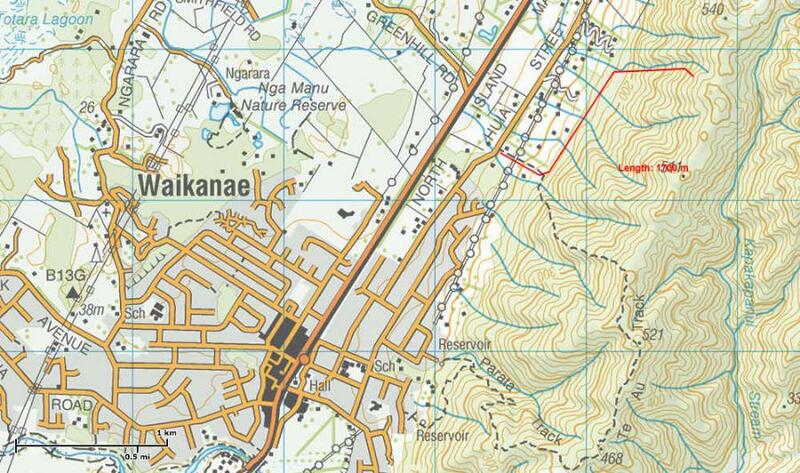 The 330 hectare native forest overlooking Waikanae comprises Hemi Matenga Scenic Reserve, protecting one of the largest remaining areas of Kohekohe forest. The reserve rises steeply from 150 metres to its highest point, Te Au, 514 metres above sea level. Acknowledgements go to Josh Dixon for location beta. Sam Clarke and Chris Lacoste for extensive work cleaning and making it relatively safe. Kristie Parata and Ra Higgot for the blessing and naming of the crag. Chris Lacoste for planning, purchasing and preparing the crag. Ceryn King, Alex Waterworth and Michael Eatson for assistance in bolting and first free ascents. 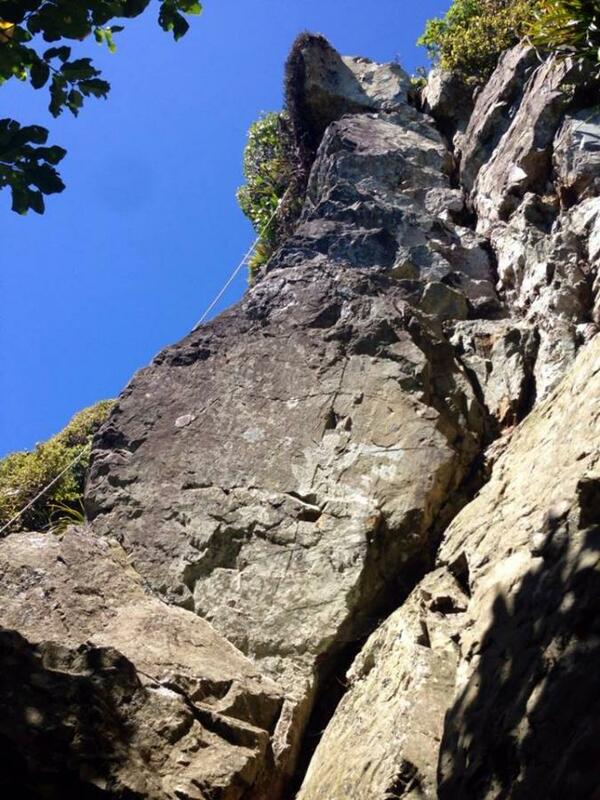 There is an abundancy of Kawakawa berries, Kiekie fruit and Karaeo to eat at the base of the crag. From the Huia St entrance to the Te Au Track follow the grass corridor straight up to forest. Cross the stile. Immediately upon entering the forest veer left and find a pest monitoring track. The track roughly follows the fence line on the forest side. Cross 3 seasonal creek beds. Just before the fourth, head up following a feint spur for a few hundred meters before gradually traversing North into the creek bed. Continuing up you will hopefully arrive at a small bluff with supplejack featuring to the right. Head right looking for a path through. About 20 meters of brawling will see you in open forest again. The base of the crag should be obvious from here. Note the red line on the topo map above is incorrect - the crag is in the next valley north (south-west of the 540m high point), at about the 360m contour. Haven't climbed there yet but looks promising. Slippery rocky muddy bush bashy approach. Bring your boots! After several hours of bush-bashing we still couldn't find the crag following the instructions above. Is there a way of signposting the "feint spur" so climbers don't miss the turn off in future? How do we get there?! 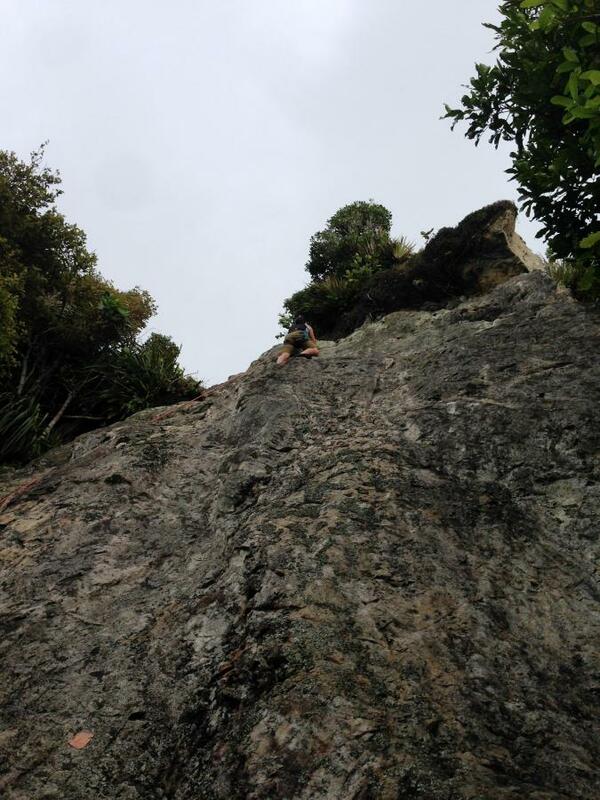 I can't believe there is a crag in Waikanae! Is it a top secret area? Classic! What are the access details?